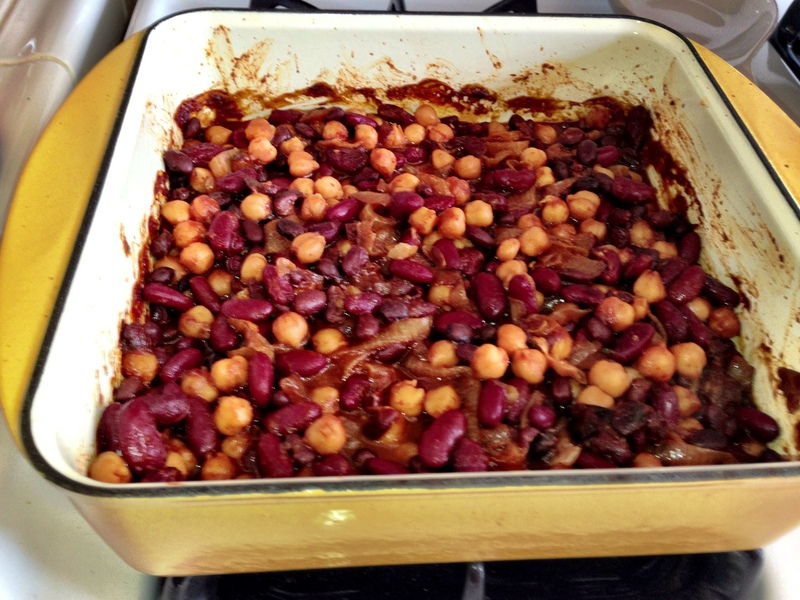 These tex mex baked beans are sweet spicy tangy and oh so fabulous! I got the recipe from my step mom and the couple of times I’ve made them, they have been quite a hit. They make a great and easy addition to a brunch menu. 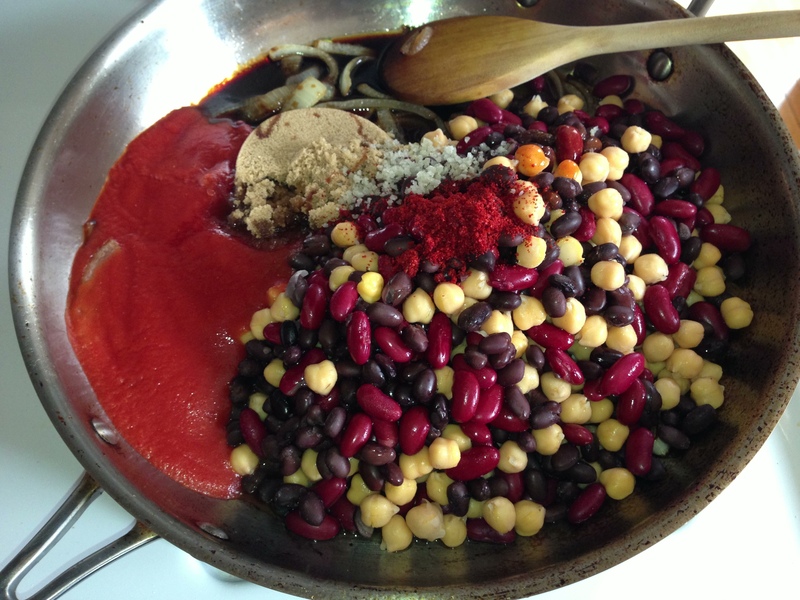 The original recipe calls for 4 cans of beans (kidney, black, garbanzo and cannelini) but I didn’t have cannelini in the cupboard when I made these, so I just made a smaller version of the recipe with kidney, black and garbanzo beans. I also made it a little spicier and a little less sweet. 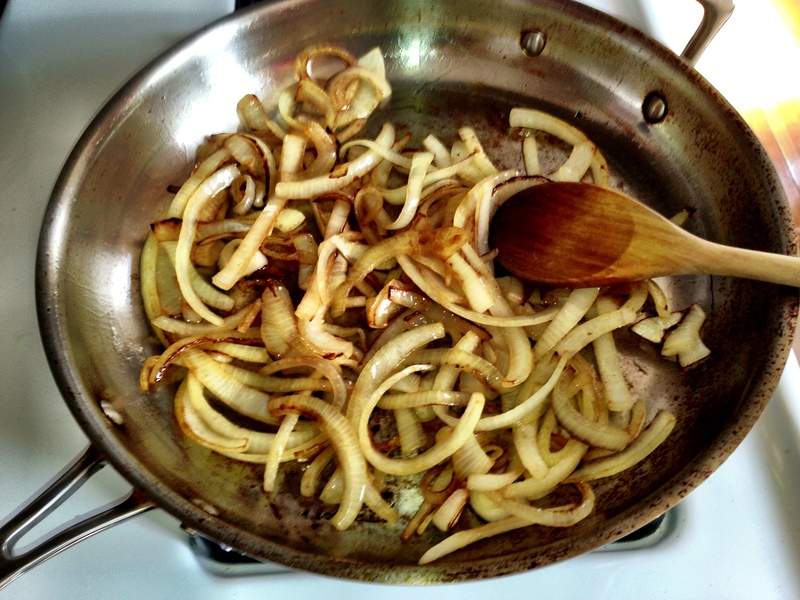 Heat oil in a big skillet or saute pan and saute onions until translucent and browned. Drain and rinse beans and add to skillet along with tomato sauce, brown sugar, molasses, worcestershire sauce, white vinegar, liquid smoke, chili powder, hot pepper. Stir well and pour into a baking dish. I used an 9 x 9 enameled cast iron baking dish.